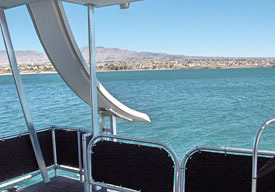 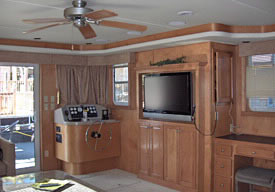 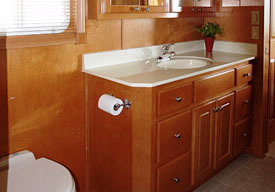 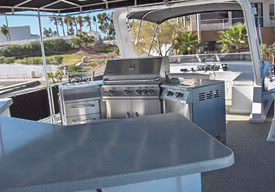 The 85' Odyssey is the largest houseboat rental on the Colorado River. 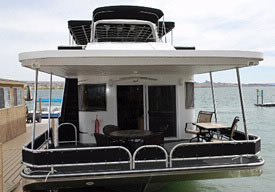 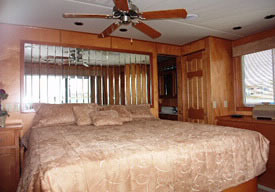 This larger than life houseboat has four bedrooms, one of which is a king suite with an en suite bathroom. 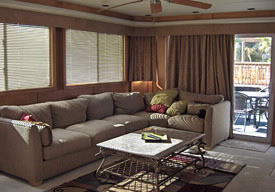 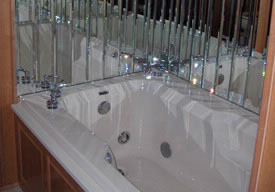 In addition to the bedrooms, the salon has a sofa sectional that can sleep 2 guests as well as a queen air bed. 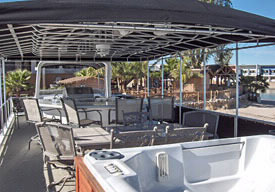 Enjoy the summer starry skies while soaking in the hot tub or dinner around the upper deck dining table. 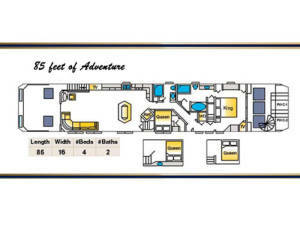 The top deck also features a waterslide, bbq grill, wet bar and a captain's flying bridge for upper navigation.